Douglas Wayne Wheeler, M.D., 64, born March 18, 1947, the sixth of eight children to Beniah and Lovell Wheeler, died on September 18, 2011 in Mesa, AZ. Doug was Mesa High Student Body President in 1965 and served a mission for The Church of Jesus Christ of Latter-day Saints in Norway, where he grew to love the Norwegian heritage. 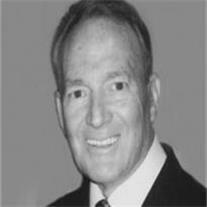 Dr. Wheeler practiced as an OBG-YN in Nederland, TX for over 25 years. He was an avid reader and loved working with his hands, especially using wood and leather. He loved geology, all things nature and had a contagious zest for life. His generosity and adventurous spirit will be missed by all, including his wife Cathy and children Alicia Quirante (Fred), Amber Church (Chad), Aislynn Allen (Josh), Brandon Wheeler (Shanna), Bryan Wheeler (Denise), Amanda Westenskow (Todd), Nakona Wheeler, and stepdaughters Amy Smith (Nathan), Laura Carpenter (Jimmy) and 31 grandchildren. A viewing will be held at Bunker’s Garden Chapel, 33 N. Centennial Way in Mesa, AZ on Wednesday Sept. 21 from 6-8 p.m. Funeral services will be at 10 a.m. Thursday Sept. 22 at the LDS Kimball Stake Center, 1266 S. 32nd St. in Mesa, AZ with a viewing 1 hour prior. Memorial services in TX are to be determined.